Washington DC is a beautiful city to live in with its smooth architecture and historic buildings. But did you know there’s way more than just buildings to see? Washington DC is full of gorgeous hikes. The best part about a DC hike is that many of these are right in our neighborhood here at The Vintage on 16th. Don’t worry about long drives to get out of the city, just take a short metro ride and you’ll be ready for a beautiful day outdoors! One of our favorite hikes has to be the 32-mile trail at Rock Creek Park, right in the middle of DC! You don’t need to get on a bus or take a car to get to this park. Rock Creek Park is right next to The Vintage, and is reachable in a short 20-minute walk or a 5-minute bike ride! The gorgeous park also has camping available, so if you do feel like staying overnight, you can book your stay in one of their serene sites. The National Arboretum is not only a great spot for a hike, but it’s also a great spot for stopping to smell the roses, too. The Arboretum has a variety of so many different plants and flowers that you can walk for hours among the colorful blooms. To get there, hop on either the yellow or green line at Columbia Heights Station. At Fort Totten Station, switch to bus E2 and take it the rest of the journey out to the Arboretum. Another beautiful hike right in our backyard here at The Vintage is Tregaron Conservancy. The Conservancy is a mere 35-minute walk from our apartments, making it nice for a Sunday afternoon stroll. Tregaron Conservancy is open to hikers, bikers, and dog walkers. It’s a great spot if you’ve got animals, and has beautifully wooded walks. Camping isn’t allowed in this park, but events are! If you’ve got a wedding or a birthday party to plan, this might be a good spot for you. Did you know there’s an island right in the middle of DC? George Mason’s old farm island has since been turned into a beautiful memorial — Theodore Roosevelt Island! The island is accessible by taking the blue or yellow line from The Vintage and getting off at Farragut West. You’ll need to take a walk from the metro stop out to the island. There are wonderful walkways that the National Park Service has set in place to keep you out of the muddy marshes along the island. Don’t forget to stop at the memorial to the 26th president of the United States! We can’t forget the Potomac Heritage Trail. This trail is a gorgeous scenic route along the Potomac that stretches through Virginia, Washington DC, Maryland, and Pennsylvania. Explore all of the Potomac and see the beautiful scenery of your city. All you need to do is ride the blue line down to Rosslyn Station to get on your way! If you would rather bike the trail, the trail is bike friendly. You can also go for horse rides along the Potomac in guided horse groups. All these spots are beautiful places for a good hike near your home here at The Vintage on 16th. 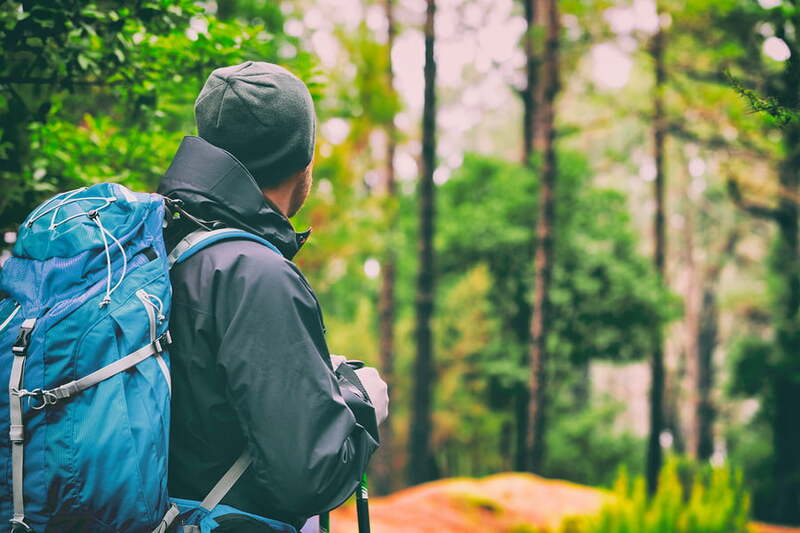 We’re ready to get you set up with an apartment right next door to all these beautiful hikes. Give us a call, today!